Antoine Griezmann seems to have landed a blow to Manchester United‘s hopes of signing him this coming summer. Griezmann has been heavily linked with a move to Old Trafford for quite some time now, with some news sources even claiming that a pre-agreement between the two parties has already been reached. However, the Frenchman did not let these reports distract him on Tuesday night, as he starred in Atletico Madrid’s 4-2 away win over Bayer Leverkusen in the Champions League by scoring his 13th UCL goal for the Madrid-based outfit, and in the process, overtaking Luis Aragones as the club’s top scorer in the decorated European competition. And following the game, the 25-year-old expressed his desire to continue making history with Atletico, thereby collapsing United’s hopes of luring him to the Premier League. Griezmann told Spanish TV: “I’m proud to become part of Atletico’s history with my goal and hopefully I can carry on making history here. 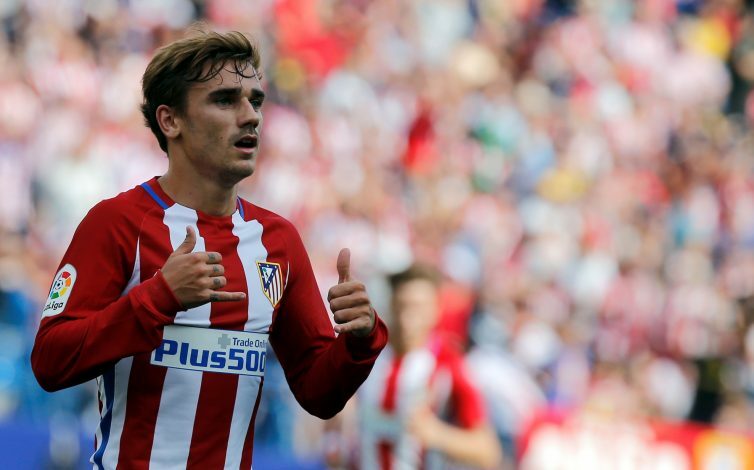 With the France international now indirectly committing his future to the Vicente Calderon outfit, it remains to be seen how this Griezmann to Manchester United transfer saga turns out.